Andrew and his partners started White Shark Media in 2011. Six years later, when Andrew decided to leave the agency behind and launch SavvyRevenue, the company had 1,500 clients, 220 employees, and over $10,000,000 in annual revenue. He learned a lot in those six years, but even after building a successful agency, he is still trying to learn and improve. That’s why he turned to Hubstaff’s Agency Advantage Podcast and is now setting up the perfect case study for our podcast. In our chat we talk about why he left such a successful company, how his experience there has shaped how he approaches Savvy Revenue, and the specific lessons from this podcast that he is building into the DNA of his new agency. 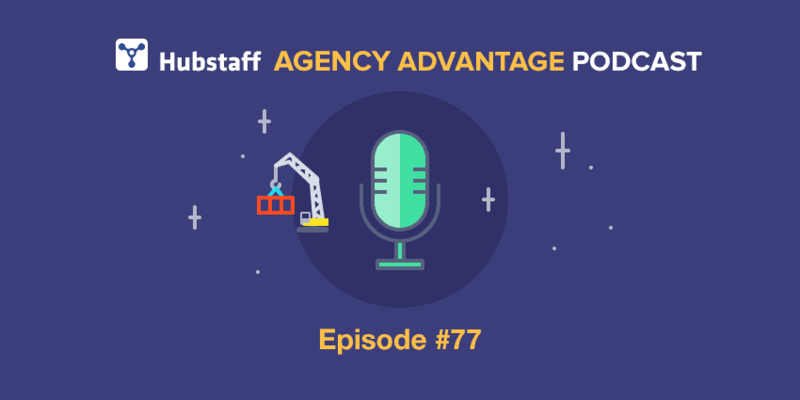 If you are running a big, growing agency, then this interview will help you make sure you get to spend your time on the parts of the business you actually enjoy. If you are running a new, smaller agency, then you’ll learn how to build a foundation that lets you grow while maintaining your margins. Whatever situation you’re in, there is something for you in this interview. So without further ado, here’s Andrew Lolk of SavvyRevenue! Want to read my interview with Andrew? Click here to download the transcript. When Andrew was ready to start his own agency, he took some time to look at how other successful agencies were attracting clients and getting business. He was impressed with their rate of client acquisition, but when he looked at their information, he saw they were not positioning themselves. Every agency he looked at was trying to offer everything to everybody, as was the agency Andrew was leaving, White Shark. Andrew knew he had a chance to start something different, so he took the time to write out the details of who he wanted to work with, what he would charge, what he saw as the challenges in the e-commerce market, and other things to help him establish his positioning and his status as an industry expert. According to Andrew, this approach is a much better way to attract clients than more general positioning and advertising. This way, you know exactly who you want to work with, and clients who seek you out know whether or not you’re worth their time. A tight positioning statement also communicates your value to clients. Instead of second guessing you and wondering why you come with a premium price tag, they can look at your tightly written positioning statement and see your expertise before they even talk to you. They can see that you’ll take stress and work off their hands and provide value for their business without having to think about it. Andrew also assessed his content market strategy. While he worked at White Shark, he regularly did guest posts for their blog and was always saddened to see something he’d worked so hard on buried under more content. It really made him think about what companies are trying to achieve with blogs and how they can help customers. An ordinary person going through a company’s blog trying to learn about X strategy will find it very difficult because everything is organized around the most recent piece instead of by category or topic. Andrew decided to take a more managed approach. His blog on SavvyRevenue will be more like a library than a regular blog, designed to help people take deep dives into different aspects of the industry and really learn at a glance. This approach will bring far more value for people who come to his blog. Instead of digging through the archives themselves, they can go through a certain topic piece by piece and see Andrew’s expertise on the subject. It also means that old content Andrew has written won’t just get buried underneath new content. It will always be relevant, and he plans to continually update his blog posts as things change in the industry. Another thing Andrew really wants to change is the processes he puts in place at SavvyRevenue. White Shark grew organically, and as the company evolved, he found himself moved further and further away from the things he actually liked to do, like interacting with clients, towards things he was less talented at, like human resources. His goal with SavvyRevenue is to structure delegation of less important tasks into the business right away. With that in mind, as revenue allows, Andrew’s plan is to outsource every piece of the business he doesn’t absolutely have to touch, so as the company continues to grow, he doesn’t find his responsibilities growing with it. Instead, right from the start, he has experts in place to handle human resources and administration and all those other things he’s less interested in. Andrew’s ultimate goal is to make sure he doesn’t get sucked into tasks that aren’t the best use of his time. Right now, since Savvy Revenue is still just starting out, he’s already finding himself doing things that could be accomplished better by someone else, which distracts from his goals of creating great content or interacting with clients. To combat that, he has taken a tip from Agency Advantage and started doing all of his own work right away in the morning, to ensure he gets it done. At first, agency owners might resist outsourcing projects because they know they can finish things, like administrative tasks, faster than anyone they might hire since they’re already familiar with the company. But just because you can do something faster doesn’t mean it’s getting you a good ROI. A contractor might do something a little bit slower than you, but by freeing up your time to create better content or products, they’re making you money. Also, if you can make sure that you structure your own work schedule around the things you love doing, you avoid the risk of burnout. Build these structures into your business before you need them, and as it scales, you won’t feel the pinch. You’ll still have time for the things that really matter to you. Andrew’s number one tip for agency owners is to remember that they have all the power. If you don’t like doing something, delegate it. Don’t worry about getting everything perfect immediately. Just think about what structures you can put in place that will help the problem get fixed, whether it takes three months or a year. Whatever you can start doing now will make the end result better, even if it takes some time. This applies to employees, too. Everyone in the company should always be thinking about and discussing where their talents lie and how they can best bring value to the agency. Andy Baldacci: Andrew, thanks so much for joining me on the show today. Andrew Lolk: Thanks, Andy. Great to be here. Andy Baldacci: You were a co-founder of White Shark Media, which is a thriving eight-figure PPC agency. Recently you decide to leave and actually start something of your own from scratch. Can you share with us a little bit of the back story there? That meant that I also moved to Malta, which is a small island in Europe. Basically I’m sitting in my apartment in Denmark and I would always be looking at these pictures from abroad with the sunny skies, blue skies and everything. I really wanted to be in a place where it was warmer year round, so I moved to Malta. Four months into that, I hit the mark where I was like, “Okay, this is where I’ll stay. I’ve now hit the three month mark and the four month mark. I’m not going anywhere. I’ll finally buy pristine office furniture and get all the ergonomic chairs and everything, so I can really work.” It was something like four months and three days. Andy Baldacci: What year was that? Andrew Lolk: That was late 2010. Andy Baldacci: Since that, since buying in, what was the growth like? What happened since 2010? Andrew Lolk: Since 2010, we’ve gone from basically none of us existed in White Shark in the states because none of us had done any business in the US, to today, we’ve been on the Inc 5000 list a couple times. In 2016 we’re just shy of Inc 500. We’re still beating ourselves over the heads with our 524. We could have bought a couple outwards management plans ourselves and gotten into top 500. Andy Baldacci: Just got it up a little higher. Andrew Lolk: Yeah. Other than that, we’re very happy with becoming what used to be very prestigious, which was the Google Premier SMB Partnership. Back then it was executives at Google, in the channel sales department that handpicked agencies that they meant could do a difference for SMBs. It’s not the same as it is today, with the whole Premier Google Partner. It was a pretty big thing back then, and were like the number 25th agency in the States that got that, out of several thousand. We were pretty proud of that. Andrew Lolk: I’ll say this time around it was a completely different conversation in my head. It was never like one day just popped up. I loved what I did. I really did. I would walk into the office every day with a smile on my face. I would jump around, be passionate, and really, really have high ambitions for everything that we did. However, 2016 was different for me and for the business. From 2013 to 2015, I had been running a marketing team. However, in 2015 we agreed that I would move back into running our product and service teams, meaning where all the fulfillment of the PPC and SEO and web projects were being completed. When you’re managing a department of a hundred people, it’s something completely different than what we started out doing. My day was no longer consulting with clients. It wasn’t sitting with some of the strategists and discussing what was the best approach to this online marketing problem. Weren’t setting strategies. Weren’t doing any of those.Instead what I was doing was things that was, honestly, completely out of my element. It was stuff like career planning. It was discussing HR. It was trying to navigate the endless nightmare that is bonuses and compensation to try to figure out how do we get this specific behavior. It was all the things that, in all honesty looking back, it’s not what I’m that good at. During 2016, we were discussing a lot of structure and how the company could look. One of the decisions we came across was to combine the sales and the service departments. Historically, those two departments have always been separate in White Shark Media, with one manager or one leader in one department and one leader in another. As with every single other company out there having this structure, it meant that there was push and pull. Sales would sell things to clients that might not fit, and the product teams would push back on clients that weren’t perfect. One of the best analogies I’ve ever heard is one of our most important business KPIs is churn. If you’re saying that you’re only being measured by churn, then you’re like a heart surgeon. You want to have a perfect record. You’re never going to take on an iffy case. You have two holes sitting in each side of the arena and just working against each other. Our idea was and is to put in a Chief Revenue Officer who oversees both. That way the person is only measured by net growth. We’ll know if that happens through a ton of acquisitions and a ton of churn or if it happens through lower acquisitions and low churn. It’s his prerogative. He has a budget. He has the abilities to do what he thinks best. As we started looking at that structure, we all saw a way that actually seems really smart. We found a guy for it. Then we started looking at where should I then sit in the hierarchy? It would essentially mean that I would be two or three levels below the top leadership in the company. My ego is fine. I don’t personally have a problem with it. I would just like to going back to doing what I actually like doing. The problem is I’ve been there six years, I am a co-founder, I do have a very strong opinion about a lot of different aspects. My fear and our fear was that, A, the CRO wouldn’t be allowed to roll out new things without people – especially the ones that have been there for a while – would go like, “What would Andrew say? What would Andrew do? What does Andrew think?” None of us felt that that was the right thing to do. Even though it was without a doubt the hardest decision that I’ve ever made, we made the decision that as per December 23rd, White Shark would be without an Andrew coming into the office every day, despite me having done that for six years, being the first one in last one out. Andy Baldacci: Obviously it was a long time coming in the sense that it wasn’t an overnight decision. Still, it’s something that you’ve worked on for so many years. Really, that was your routine was going in to the office and working on this. Even though your role had changed, that was still kind of a big part of your identity. What was that feeling like when you accepted it and realized that the best way forward didn’t involve you at the company anymore? One of the hardest things about it was also not being able to say anything because of course it had to be announced in a specific way. When we finalized the decision in early October, both me and my co-founder we had four travels from October to the end of November planned. We didn’t feel like we could announce it and then leave. We actually didn’t get to announce it until I think it was November 28th or December 2nd or something like that. Andy Baldacci: Just barely a month before it was going final. Andy Baldacci: About that, right. Andrew Lolk: Yeah, about that. Some people felt betrayed. Andy Baldacci: I can only imagine the amount of stress that would go along with that. Moving past that, once you have committed to this decision and you have decided “I’m putting White Shark behind me now,” what does the path look like going forward? One of the things that, in talking to so many agency owners over the time I’ve been doing this show, I’ve realized that a lot of agency owners are what I call “an accidental agency owner.” They’re really good at whether it’s design, software development, maybe it’s PPC, whatever, and so they start getting clients almost just by chance. Then through word of mouth, they keep growing and keep growing without really being deliberate about it. They look up and have a realization like you had, where their day to day job, they’re not actually doing the work that they enjoy. This time around, when you’re building your new agency, how are you going to make sure things are different? Andrew Lolk: I have the advantage of six years of looking at White Shark and saying the grass is greener somewhere else, looking at all the things that we haven’t done and have the ability to implement those things. One of the biggest things that I heard on the Agency Advantage podcast, but also just everywhere else, is this thing about positioning. In White Shark, we didn’t really ever establish a strong niche that we worked in. I want to do that completely different with SavvyRevenue so that we’re only focused on a particular part of the market that has particular challenges on a day to day basis. Andy Baldacci: This is actually something where I should have asked this before that last point. What is it, specifically? What is SavvyRevenue? How does this project fit into what you’re working on now? Andrew Lolk: What I’ve decided to do with Savvy is to do a PPC agency that’s solely focused on helping e-commerce stores profit with PPC campaigns that I can scale. It’s all about finding e-commerce stores out there that are already operational, they have a solid foundation. They’re selling common goods. All of them will already have a pretty chunk of revenue, already running ads on AdWords and the other channels. Then take the ones that want to scale. They’re doing well. At all measures they’re great businesses right now. They’ve exploded in the last year or they’ve just walked around, they’ve done really, really well. They just are missing the next step. They’re missing the next level. That’s where, as much as I’ve looked at PPC accounts over the years, there is just something that changes once you go from let’s say $10,000 a month to $100,000 or $200,000 a month in budget. It’s just those small little things that on a $10,000 account doesn’t really matter. It might cost you sale or two at that level. Then when you’re spending 100, 200, 300, $400,000 a month, it’s completely different those small things add up and can really, really dig into your bottom line. I found out I can do that. I know how to do those things. I’ve had extreme success with doing it in the past. I said, “Listen, why not just do a PPC agency that is 100% focused on what I’m really, really good at.” If you look at it, to get started I don’t need that many clients. I just need like five, ten. Then I’m more than fine and can start expanding and investing into the agency. If all goes horrible with choosing a too narrow positioning, I can always branch out. I can always get five to ten clients with almost any niche you choose anywhere. That’s the thinking. Andy Baldacci: I’m glad you said that. That’s the thing. I hear it a lot of times from freelancers who resist positioning. For a freelancer, in my opinion, it’s crazy to resist that because you just don’t need that many clients to build a real business when it’s just you. Even as you’re doing, when you have a goal of actually building an agency, it still doesn’t take that many clients to get started and really start the momentum going. Like you said, five or ten clients and you have something there. Especially when those clients perfectly fit the positioning, which means you’re delivering insane value to them and probably getting compensated fairly well because of that. Rather than just kind of taking anybody and everyone in, having them fight back against every charge that you make because they’re just not the right fit for you. Andrew Lolk: Exactly. I launched Savvy in the middle of April. One of the things is I chose to go with an agency in Denmark, as well. We never branched out to Denmark in White Shark. To be honest, I was very close not to doing it. I was very close to skipping Denmark completely for the agency part. It was mainly because I saw so many agencies. There are so many agencies that started up, and I knew many of the people who ran them. They had grow exponentially. Many of them had gotten more than a hundred clients in a year. Not just small clients, like real clients. I was like, “Wow, that’s fast. There’s no way I’m going to get in there and start making a dent.” Then as I was looking at all the different websites – and the same goes for over here in the States – it’s like there’s no positioning happening. Everybody is a web agency. Everybody is a PPC agency. Everybody can do everything for everybody. Andy Baldacci: There’s a lot I want to unpack there. The first thing is just what you were talking about right then, with the messaging. When you have that tight positioning statement, when it’s clear who you’re speaking to and what you can offer them, it’s obvious who’s a good fit. The people who you’re trying to reach, when they read that message they’ll say, “This person gets me. They know exactly what I’m going through. They know exactly what I need. They can help me do that.” Whereas even with PPC, if you’re a generalist, people have to try to figure out, “Okay, I think they could do what this firm needs. I think they can help me there.” They have to do a lot more work in terms of thinking about it. When you can get that messaging right, it’s obvious who you’re trying to work with and how you can help. Andrew Lolk: I like to think of myself as almost the agency advantage case study. I absolutely went all in on listening to all the podcasts and it was a big help in how I structured this new agency. I must admit that I was scared in the beginning, especially as some of the first leads came in. It was from agencies where I knew what they were charging. I knew how their structure was. It was all hourly rates, it was based on how many hours were needed to work on the accounts. I knew that the offer that I sent over was 3x was they’ve been paying up until last month. I knew that the rate that I was giving was like half of a well-paid full-time employee. The first two or so I was like, “Oh! What is coming back? Should I lower my rate? Should I not?” I’m happy to say, as I said before, they all came through. The other agencies, they are good. It’s just for me, they’re charging by the hour which is horrible in my book. It’s this entire thing that you’re trying to explain what you’re spending your hours on instead of actually just looking at the value created. Then you have to sit and argue with the client about whether or not you spend time on this minute detail. It doesn’t matter. Andy Baldacci: Yeah, how much are you billing for this email? Are you going to charge me if I call you? This type of thing. That gets the discussion away from the actual value you’re creating. It’s poison to the agency/client relationship. Andrew Lolk: Completely. I really don’t understand why anybody would still do hourly rates. It sinks the relationship before it can even get started. Andy Baldacci: I think a lot of it comes back to that fear that you just talked about, where you know what the other agencies are doing. A lot of them are billing by the hour. A lot of them are having these generalist positioning statements, if you even want to call it a positioning statement. The thing is that when you do make these changes, you’re going against the current. That can be scary. Back to what you originally said about the positioning. This got you down into the type of clients that you enjoy working with. I honestly hadn’t thought about that side as much of it. That’s something that I think longterm agency owners do need to consider, is the personal side of it. Who do you actually want to work with? Put aside the money, all of that. Obviously you need to make something. Who do you enjoy working with most and what can you do to get more of those clients? I’m glad you mentioned that. The other side of it, too, is that while you theoretically could work with any client and I’m sure eventually deliver a profitable PPC campaign within reason, the fact that you do focus specifically on this exact – not just e-commerce clients but on specific size and type of client. You’re going to understand how they think, what their problems are much better than someone who works with everybody and everybody. A lot of that I think does help, when you do put in that proposal that’s a few times higher than the competitors. What you’re doing to the client, to the prospect, is that they have to ask themselves, “All right, this person gets me. They work exclusively with clients like me. They understand my business. They understand me, and they understand how to help me. Is it going to cost me more money? Yes, but is that worth it? Will it give me a return?” With the other ones they have to basically say, “I’m going to take a chance on these people because I think they could help me out.” I think when you can dial in on that, it makes it easier to justify the higher price point. In their mind, they’re paying more because there’s less risk. Andy Baldacci: It’s something where a lot of people, when they first hear about positioning, think of it as sort of marketing BS. They feel like you say that, but is that really true? Does a business owner really care about that? No, they just want whatever is cheapest. At the end of the day, that’s not what the business owner wants. They don’t want to have to think about all of these little decisions and constantly be on top of the agency partner. They’re going to the agency so they don’t have to deal with this as much themselves. The more you can understand them and their business and help cater what you do towards that, that is providing them with immense value. Now they just don’t have to think about that as much anymore at all. Andy Baldacci: One thing I want to get back to is you said you have five leads come in. Privately before, we had talked about how your goal is to get to ten people on your team as soon as possible. In terms of growth, in terms of getting to that point, in terms of increasing your leads, what is your strategy for how you’re going to get there? Andrew Lolk: The thing I’ve always done, both in affiliate and in White Shark and we’ll do now is content and content marketing. Content marketing will be the primary way that we get clients. Particularly it’s because I don’t need to grow as fast as, for instance, we did at White Shark. We don’t need to have huge growth tomorrow. We don’t have those targets. I have the ability to kind of wait a little bit and have it all come in. For me, it’s so important that when clients get on board, then we’re the experts. We’re the ones dictating how things should be done. We had a rule in White Shark where if you ever find yourself in a situation where you’ve been told what to do more than twice, then you’re looking at churn. You’re looking at a client that’s about to leave. Maybe not tomorrow, but maybe in a year. You’ve been taken out of the expert role. The things is, it often doesn’t happen immediately, but whenever at one point in time they sit and they look at a check and they might have to do some cost-cutting, it happens all the time. Many companies have like 10% cost cutting as mandatory every year. It’s like, “Do I want to keep these guys on? Do they bring something additional to the table?” If they don’t, then you’re cut. It goes super fast. So I want to make sure of that. I don’t want to sit and fight with clients about why we do certain things. I don’t want to argue about opinions. Take our experience. If you don’t think that what we’re apt to suggest is the best idea, you know what? We’ll test it. We’ll go in, we’ll put it in. If you have specific things you want to try, we’ll put it in there as well. We’ll advise you not to in certain cases. It’s important for me to establish and position us as the experts. Content marketing is an excellent way of doing that. Andy Baldacci: What will this content look like? Everyone is talking about content marketing. In the startup world and the agency world, it’s everywhere. It’s something where a lot of the times, the way it’s executed isn’t so great. How are you going to approach this differently, to make sure that you’re actually getting results from the content? Andrew Lolk: Just to bring it a little bit back, in White Shark as I was running marketing, one of the goals that we had was to launch three blog posts per week. I would write maybe one of them, and some weeks that would go out as a guest post. I would always be borderline sad when I wrote a massive piece of content that was doing really, really well, but one week later, it was buried. It was no more. It was gone. If somebody new came to our blog, they would look at the three other blog posts that came out, that might have just been filler blog posts now that I look back at it. I feel we’re at a place now, we’re at a crossroads where we as marketers – especially in content marketing – need to decide what it is that we’re doing. To be honest, none of us are blogging anymore. Writing all these tips and long guides and stuff like that? That’s not what the intent of a blog was. The intent of a blot was to share tidbits and just small things here and there in a chronological manner. Everybody, great, this is the latest from XYZ Guide. This is the latest pictures. It wasn’t something that you would go in and try to find later. I feel we are all doing it wrong when we have these long lists of chronological blog posts. That’s my plan is to put more towards becoming more [listed 00:30:53] resource, a library where if somebody goes on to SavvyRevenue in the future, they can go to the blog and they will find the same blog as somebody coming to it a year or two years ago. In terms of the structure. If you’re just starting out or if you’re having these challenges, this is where you go. You’re not going to see the latest blog post I posted today because for me, that misses the mark to just show the latest that you’ve done at all times to every single user. You have to become more of a resource. With that, I feel old content needs to be updated or deleted. I can’t tell you how many times I’ve felt like this article I wrote a year ago, it’s still 98% good today, but because there is this teeny tiny minor change, then it’s partly wrong today. I feel that’s such a mistake. We have to be resources. We have to be libraries. We have to be places where if I want to learn about – in my case – PPC for e-commerce, then I know I can go there and I won’t just be presented with content. I’ll be presented with a guide to consume this content. That’s also why I think that all these courses can be sold for $500 or $1,000 or $2,000 online. It’s basically the same content in many of these courses that you can find. It’s just presented in a different way. It’s just shown in a way that it’s super easy to consume and it takes hand-holding to a brand new level that you get it. I’m [on 00:32:36] courses. Every time I want to try something new, I’ll take a course because I know I don’t have to figure out what advice is the right one. I know I’m not going to start reading something that goes completely above my head. Andy Baldacci: I’m the same exact way. If I’m researching something, I’m at a point in my life where I don’t want to spend dozens and dozens of hours scouring all these different blogs, figuring out what’s relevant and what’s not. I’d rather just pay someone a decent price to just kind of package it all for me and say, “This is what’s important. It’s up to date. This is why you should listen to me. These are the results that other people have gotten.” Kind of prove it on its own. I think there’s value there. I’m okay with paying for that because you’re right, the way most blogs are managed, it creates an insane amount of work for someone who’s really just trying to learn something and doesn’t want to dig through the archives to find this or that post. Andrew Lolk: I would always be sad when I thought of new people coming to the blog. I’m like, “Where should they start? Where should they go? Is this really the image we want to present? We have tons of amazing content, but somebody might come at the wrong time and they won’t find what they’re looking for.” I really want to make a big push for the user experience and help them consume the content, not just produce the content. Andy Baldacci: Have you thought much about the specifics of how you’re going to do that? Are there any companies you see, or agencies you see, that do this really well right now? Andrew Lolk: I actually haven’t noticed anybody doing it really, really well. I see people starting. I think GrowthHackers.com is trying to do something with their community and the way that they’ve presented articles. Then there are a couple, like Moz is trying. WordStream, which is a PPC agency, they created a PPC university where they basically take the blog posts that they have done before and then they would just portray them in a manner that made sense. Andy Baldacci: Interesting. Is this something that you’re going to be doing, in trying to build into the SavvyRevenue approach right from the start, or is it something that needs a bit of planning to really execute the way you want it to? Andrew Lolk: Right now the idea is to just start writing, just to start everything to come out. Personally I have a challenge with doing work upfront and imagining how everything should be upfront. With this, I can’t really imagine how it should look like before I have the content ready. It’s something that, especially here when we’ve been building and before the website for Savvy was started, or was launched, I felt like a complete fraud. I was like I could do maybe three or four hours of work a day, and I would just be absolutely behind. Not behind on the work I had to do, but I came from an environment where I worked 10, 12, 14 hours a day. Now all of a sudden I was just doing a couple of hours of work. There was essentially more blog posts to write. I could record webinars. There’s always things you can do to prepare, but I couldn’t find myself being motivated by it. It’s kind of the same now. Until there is enough content on the blog for it to be in a place where I need to showcase it better, then I’m actually not going to touch it. Andy Baldacci: That’s smart. Do you mind if we go a few minutes over? Andrew Lolk: No, that’s perfectly fine. I have time. Andy Baldacci: Okay, cool. One question that I really wanted to ask you because, first, you kind of blew my mind a bit with your approach to and the way you think about content. I hadn’t thought of it that way, at least consciously. When you were describing that pain to me I was like, “I know exactly what you’re talking about. I get it.” You gave me a lot of homework, to go back and think about how I can start applying this better myself. Thanks for that. What I really want to talk about now though is the longer term. What I’m curious about is, you are setting out to build a bigger agency. You’re not necessarily trying to replicate what you had at White Shark. In fact, you’re trying to do exactly the opposite, of not building that. How are you putting in place systems or whatever? How are you approaching the problem of making sure you ultimately build the agency that you want to work in? How do you make sure that you don’t lose sight of that? Andrew Lolk: One of the first things that I’ve written in a huge post in front of me right now is outsourcing. It can come in any which way form or shape: virtual assistant, agency consultant, delegation internally, whatever it is. I want to make sure that I, as an agency owner, have outsourced everything that I don’t have to touch. One of my wishes is to be hands on with clients for as long as I can and still do it once the agency has reached a size where I actually shouldn’t. Hopefully I’ll be able to take out everything that’s called “administration” or “finance” or “HR.” All those aspects. Have built processes and delegated those areas to other people so I’ll still have that chunk of time to work directly with clients. I want to start doing that already, now. For instance, I quickly got a writer on board just to do … My plan is to do very, very large blog posts. The one I just realized last week on Saturday was 8,500 words. The idea is kind of like take tidbits of that article and then use them as guest posts on other people’s blogs. Then I’ll create these massive pieces and I’ll get somebody else to repurpose them into smaller blog posts that I have tidbits instead. I got somebody involved with writing that immediately. In Denmark, I’ve gotten a translator involved immediately to start doing the translation of the blog posts so that I don’t have to do all that. One of your podcasts talked about this thing, about working on your own stuff in the morning. I’ve taken that into account and have now started doing that. The client work will be done. That’s for sure. Now it’s just take that hour or that one or two hours every morning and make sure you make progress on the blog posts, make progress on the promotion, and all these things. Andy Baldacci: Yeah, that’s something I’m still working on. You’re right; when I have a deadline, it doesn’t matter how hungry, how bored, how whatever I am, I’ll get it done by the deadline. If it’s for a client. If it’s my own stuff, no. I’ll just push it off to the next day because I know I’m busy. That’s why structuring the day so you can tackle those very important things that are easy to put off, tackle those first and get them done. You’ll still have the time to get things done for your clients down the road. Andy Baldacci: One thing that I wanted to talk about is breaking down your response there. There’s a lot there. I think it’s something that a lot of agency owners miss, and that’s the value of process in general. You touched on it briefly when you said if you try to do this later on, it’s going to take too much time and you’re just going to do it yourself because you don’t have any time. That’s exactly right. The reason why you’re going to be able to put yourself in a position to run the agency that you want and to work on the things that you want is because you’re going to have the time to. The reason you’re going to have the time to is because you have the processes in place so that you aren’t doing all of that kind of administrative nonsense, all of the overhead things that don’t actually add value. If you can build those systems up, some of it just will go away because you won’t be making the same mistakes when onboarding clients that cause random issues to pop up a few months down the road. Some things will still be there, but you can actually outsource it. Putting all of that together is a way to take back control of your agency and give you the time to work on what you want to work on. It doesn’t all depend on you anymore. You’re not just kind of holding everything together yourself. Andrew Lolk: Exactly. That reminded me of another reason why it’s important to do these things before it’s last minute. As an agency owner, as an entrepreneur, you are pretty good at what you do. You have built something, you’ve done something amazing, and you are a lot more motivated, you’re a lot more ambitious than pretty much 90-95% of everybody out there. That also means you will grossly overestimate what everybody else can do. Let’s say that there’s something from an administrative point of view that you’ve been doing. You’ve been spending let’s say three hours a week doing it. Now you’re like, “Okay, now I have this administrative part, I have this project management part. I have these five parts that together add up to let’s say 30 hours a week.” No, maybe not. Let’s say 15 hours a week. So I’ll get somebody part-time to start managing these things. Then all of a sudden you figure out that that part-time employee can do maybe one of those areas for 15 hours. It’s not like you, that could do all those five areas in 15 hours. You’ll quickly learn that if you try to do that, then you’ll just completely overburden the people you’re working with. They won’t last long. It’s one of my nastiest learnings throughout the last six years. We’re still not perfect at it today, I’d say. Andy Baldacci: You also have to kind of accept that that’s the case. It’s not just expect that. A lot of agency owners and a lot of entrepreneurs in general, they’ve had that experience, and so they just don’t delegate. They just do it themselves and say, “I’m not going to pay three people to do what I can do.” They don’t realize that there are better things that you could be doing, and you still could have a huge ROI by having three times as many people do it because it lets you tackle those really high value things. At a certain point in the agency, it lets you just do the things that you enjoy doing so you don’t burn out. Andrew Lolk: Yeah. I must say, that last piece so you don’t burn out? There’s nothing worse than knowing you have three to four hours worth of work that you really, really dread doing. You postpone and postpone and postpone. Then all of a sudden you have to do it at night instead of hanging out with your family or going out with friends or just doing something that you’d rather do. After seven years working for myself, I’ve learned to realize it’s not all about the business. It’s not all about everything being efficient all the time. It’s also about enjoying what you do. It might just be something that comes with age, that you figure out that the rat race, you can create that for yourself as well. It’s not just for people sitting in jobs. It’s also for yourself. Focusing on getting those tasks out that you really don’t enjoy doing. It doesn’t have to be that you don’t enjoy them. It’s just not what you’re uniquely qualified to do. I’ll enjoy plenty of things, but that doesn’t mean I’m uniquely qualified to be doing them. Andy Baldacci: Right. Am I the only person that can get this done? Not necessarily in a certain amount of time, but am I the only person who could do this? If the answer is yes, then I guess you have to do it. If the answer is no, you need to at least consider is this worth having someone else do? I love that you touched on that balance with the family and the rest of your life because a lot of people see building out systems and building out processes like this is as the over-corporatization of a business. They left a corporate world because they hated process, they hated all these forms and everything else that they had to do. Process doesn’t need to be a burden. Ultimately in my opinion, the goal of process is what you touched on. It’s to free yourself up so that you can work on what you want, when you want. 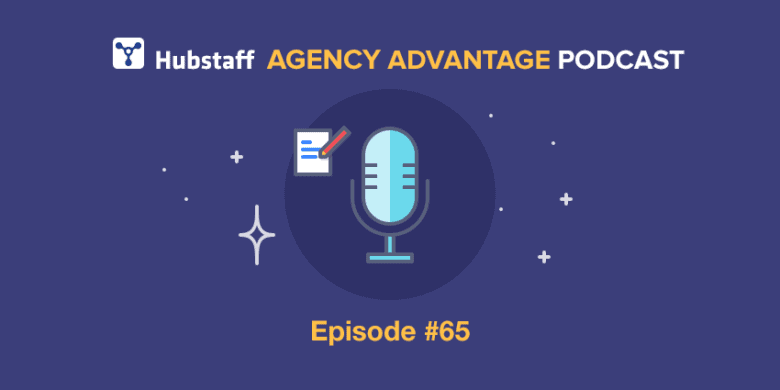 If you’re an agency owner who is listening to this and kind of resisting process, if you can’t walk away from the agency for a week or two weeks or whatever, shut your phone off and not check your email, without things completely falling apart? Then as much as you might think you hate process, it’ll probably help you life get back on track and just be a little bit more enjoyable. You’ll actually be able to unplug a little bit. Andrew Lolk: Oh yeah. I can’t tell you how many times I’ve talked about the idea of routine with people, in White Shark for instance. Just trying to explain to employees how much value there is from building routines. It doesn’t mean you have to have every single hour of your day scheduled out. Just having a minor routines where you’re doing minor processes, the way that you structure your day, it will allow you to say that now I’m writing a blog post. That’s all I need to be doing. I don’t have to wonder about answering emails because in 1 hour and 45 minutes it’s on my calendar to check email. I can focus on what I’m doing and try to get that sense of deep work done. Andrew Lolk: Cal Newport, yeah. Andy Baldacci: It’s great. It’s what’s actually driven a lot of my rethinking my own processes. Another book, if listeners are curious, about the building out the systems side of things is a book called Work the System. It’s one where at some points it gets a bit long-winded, but the bulk of it in my opinion is a powerful system, a way to think about the processes that go on with or without your involvement. Andrew Lolk: It’s funny you should mention this, especially Work the System, because it was the first real business book I read six years ago when I had explained the same thing in White Shark for the millionth time. “Why is it that this keeps happening? This ends now!” I read it, and I was completely and utterly inspired by what I then called the White Shark wiki, short of Wikipedia. I didn’t know about the term “knowledge base” at that time. That was the first book that inspired me to start building processes. You’re absolutely right, it is long-winded. I tell people it’s the worst best book I’ve ever read. Andy Baldacci: That’s a really good way of putting it. Andrew Lolk: It’s super valuable, but it’s tough to get through. Once you go through it, it’s great. Andy Baldacci: I’m always cautious to recommend it, but there is just so much value in there that I always recommend it and then give it a little caveat. “Hey, he just kind of rambles at some points, but if you can get through that, there’s a ton of value there.” Ultimately, if you’re not deliberate about building out systems, systems are going to exist, they’re just not going to produce the result that you want. The book is really just about being more deliberate and seeing everything for a system so you can start to improve it. That doesn’t necessarily mean you have to live a super regimented life. It just is an approach to help get back control of the things that you don’t want to deal with anymore. To wrap things up I want to ask you, for listeners who are in a place like you were in where they look around and they’re not necessarily doing day to day what they ultimately want to be doing, what is something that they can do to be a bit more deliberate about building the role for them or the agency for them or whatever it is? Building what it is that they ultimately want out of life within their agency? Andrew Lolk: One thing that nobody does enough is to design what it is that you’re doing. We all have a lot more power of what we’re working with on a daily basis, both as an agency owner but also if you are working in an agency somewhere or even just an employee anywhere else. Having been on the other side as an agency owner, a manager for six years, it was very rare that I had people come up to me with constructive ideas for how they could optimize or work better on what they’re good at and what kind of impact that could have on the business. People have a lot more power over what it is they actually work on if they just start opening a conversation about it. For an employee, that means going to your manager and saying, “Listen, I think I’ve really got this. I think I enjoy doing this, and I think I have this value for this business. What if I up my time focusing on this by 10, 20, 30, 40, 50%?” Never go, “Can I just do that?” No manager in the world will ever say yes. If you just say, “Can I spend a little more time on that? This is the value that will be driving.” Most people will listen. If they don’t listen or if they say “that’s not how we do it,” then go up the ladder. What I’ve typically seen is that the higher you go, the more flexibility you can actually get in terms of the people you talk to. If you’re an agency owner, you have all the power. If there’s something you don’t like doing on a day to day basis, you don’t have to do that. You can find somebody else to do that. Either you can outsource it or you can delegate it internally. Again, I used to listen to Michael Hyatt a lot. One of the big mantras that he’s always had is you’re not going to be able to fix all this tomorrow. Never look for a solution that will solve everything this week. Look at it three months ahead, one year ahead. What can you start doing now that will say that in three months or in twelve months that you will be at the place that you would like to be? That’s kind of the way that most people should think about these things, especially if they want to make big changes. Andy Baldacci: Right. They’re not going to happen overnight, but don’t let that discourage you from getting started. Just figure out what is the first step you can take to get the ball moving so that eventually things will look more like the way you want them to. That was great advice, Andrew. Before we wrap up, I do like to ask all of my guests a few rapid-fire questions. I’m going to go through them quickly, but your responses don’t have to be short. The first one is what do you currently spend too much time doing? Andrew Lolk: In all honesty, seeing as we’re just starting out, what I spend too much time doing is everything. Because I do have ten hours available to do work, then I tend to have my tasks take too long. Things that I know I can do in an hour, it stretches into an hour and a half or it stretches into two hours. I’ll sit with one of the new clients that have come in, and I’ll start looking and analyzing X Y Z thing. That will lead me into reading a blog post, which will lead me into looking at another client account to see if they have the same issue. I’ll let myself be taken down the rabbit hole, which is something that, A, I enjoy doing a lot because you get these serendipitous moments where you’re like, “Wow, that’s why that does what that does.” I also have this deep bad feeling inside me where it’s telling me “you’re not being efficient, you’re not being efficient, you’re not being efficient.” That might be one of the things that I’m spending too much time doing right now. Andrew Lolk: I think I could be, again taking it from a person right now who has a little bit too much time on his hands compared to an ideal setting, I don’t think I’m spending enough time just relaxing or finally getting into meditating or taking that one hour of lunch to go surprise my wife. Just do something that now that for the first time in six years I have that additional time. I think I should do that a little bit more, now that I think about it. Andy Baldacci: I know you just launched very recently, so there’s a lot going on. In the next quarter, what are you hoping to accomplish with SavvyRevenue? Andrew Lolk: By the next quarter, I’ll definitely have brought on one or two freelancers to kind of work on some of the more specialty areas. There will be at least ten clients, and I’ll have outsourced or delegated 80% of everything that’s administrative at that point in time. If I was at that level in three months, then I’d be happy. Andy Baldacci: What do you see as the biggest obstacle that could prevent you from achieving that? Andrew Lolk: I think that goal is so attainable that I don’t really see any challenges. The biggest thing is to make sure that the traction continues. When I first launched the first blog post in SavvyRevenue, it was kind of like a launch “this is what I’m doing, this is my story, this is everything I’ve been doing.” There was nothing. Of course it went completely well on social. A lot of people read it and congratulated, but no business came out of it whatsoever. At first I was like, “Oh no! What is this? Is this really how it’s supposed to be? Do I have to go back in the trenches and cold email people to get clients?” Luckily, I launched my second blog post and it immediately spawned leads that came in. The biggest hurdle is if I’m not able to continue this traction. Andy Baldacci: Honestly Andrew, you shared so much. This was a different talk than I was necessarily expecting us to have, but it’s one that I’m glad we did have. This wraps up a lot of how I think about just building an agency. I think these are all important lessons that any agency owner who doesn’t have the absolute agency of their dreams – which none of us do – can really learn from. Thank you so much for sharing all of that with us today. Before we say goodbye, if listeners want to see what you’re up to at SavvyRevenue and hear more from you, where are the best places for them to go? Andrew Lolk: I’m primarily on Twitter, @andrewlolk. Other than that, I will continue to post and update everything on SavvyRevenue.com, where the agency lives. There you will also be able to find all the different content I’ve written that positions us as an agency. Like I said in the beginning, I do really think that SavvyRevenue is a great case study for the Agency Advantage podcast. A lot of things I’ve been doing have come directly from the podcast and have come directly from Jason and Ben Lee and [Blair Ends 00:58:23] and many of the others that have been on the podcasts, that I’ve just taken and said, “Okay, that sounds awesome. Let me do that as well.” I’m really excited about showing everybody, all the listeners, what can happen if you follow the advice that you’re given. Andy Baldacci: Awesome. Well I appreciate that. I’m going to get all of that linked up in the show notes. Andrew, thank you again so much for your time. It was a lot of fun chatting today. Andrew Lolk: Thanks, Andy. It was a pleasure being here. You can find Andrew on Twitter @andrewlolk. Otherwise, you can look him up on savvyrevenue.com, where he posts all the content to establish his agency’s positioning as an expert.